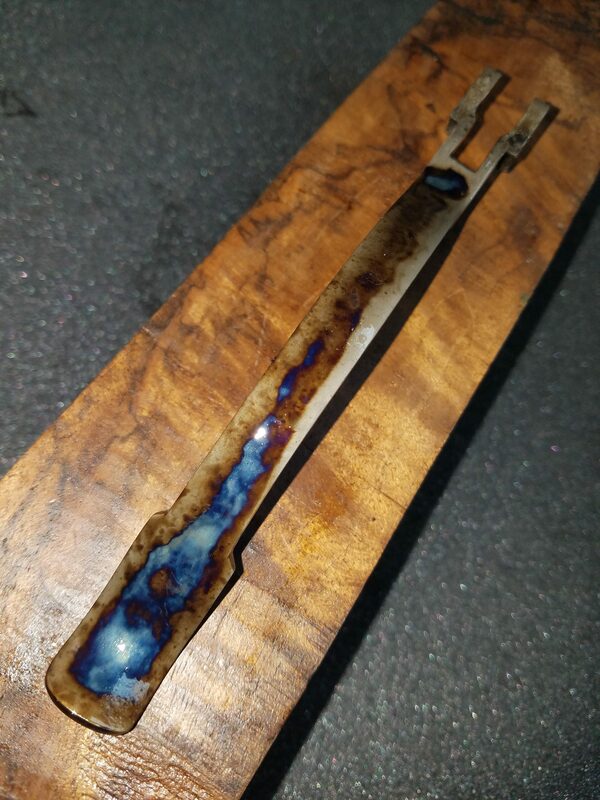 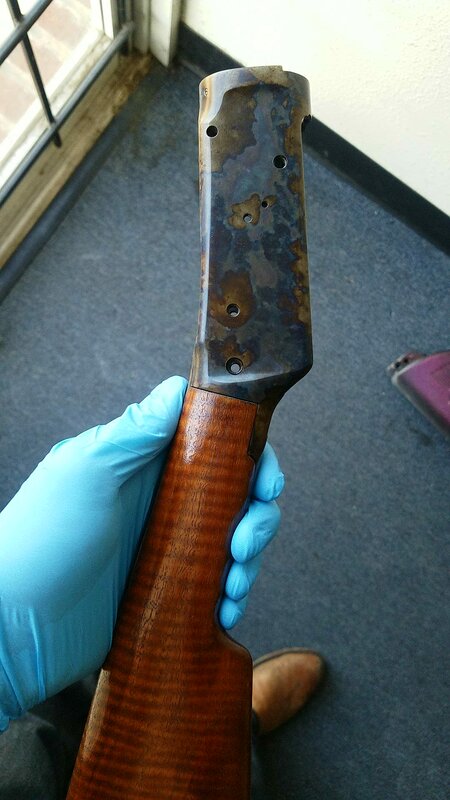 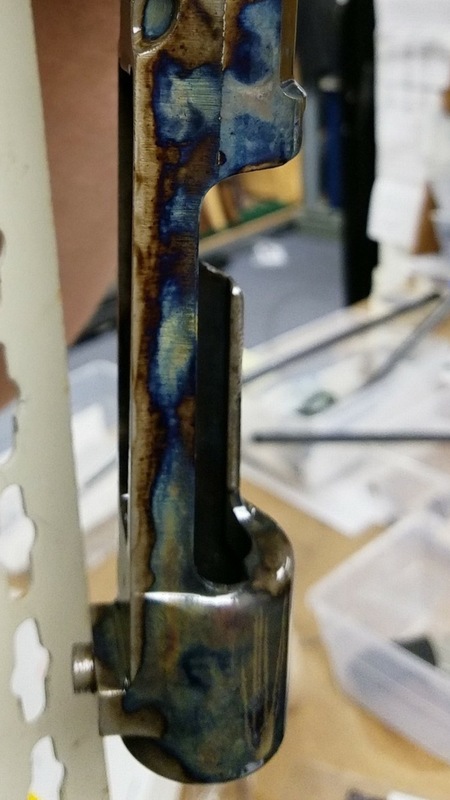 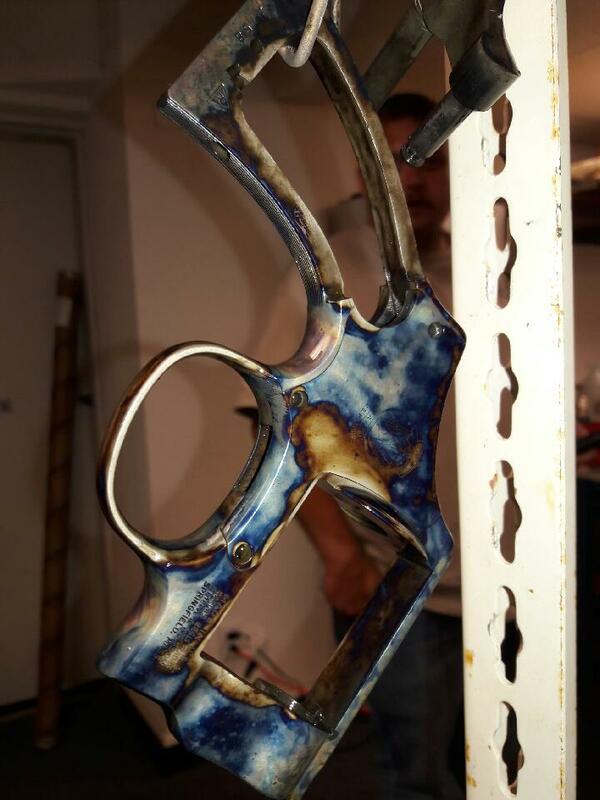 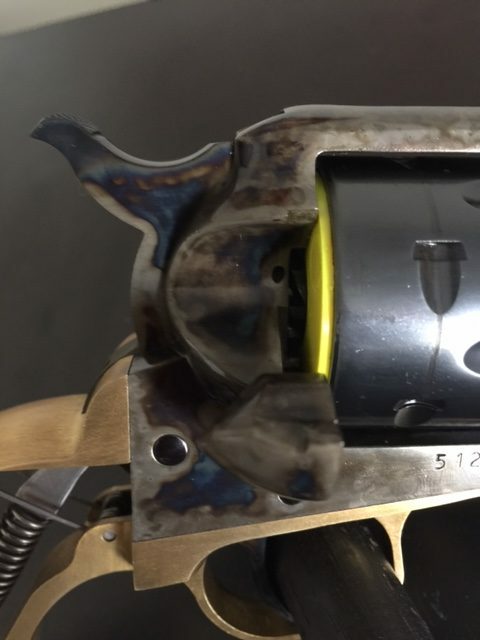 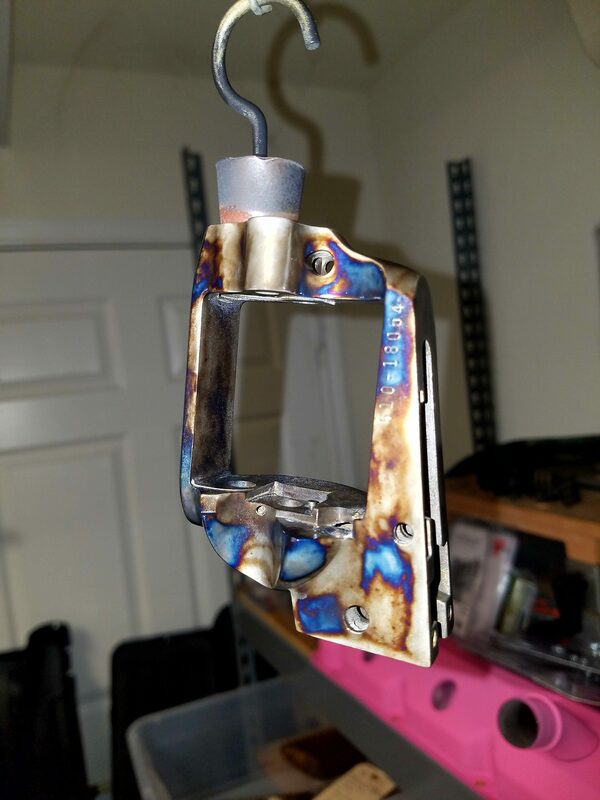 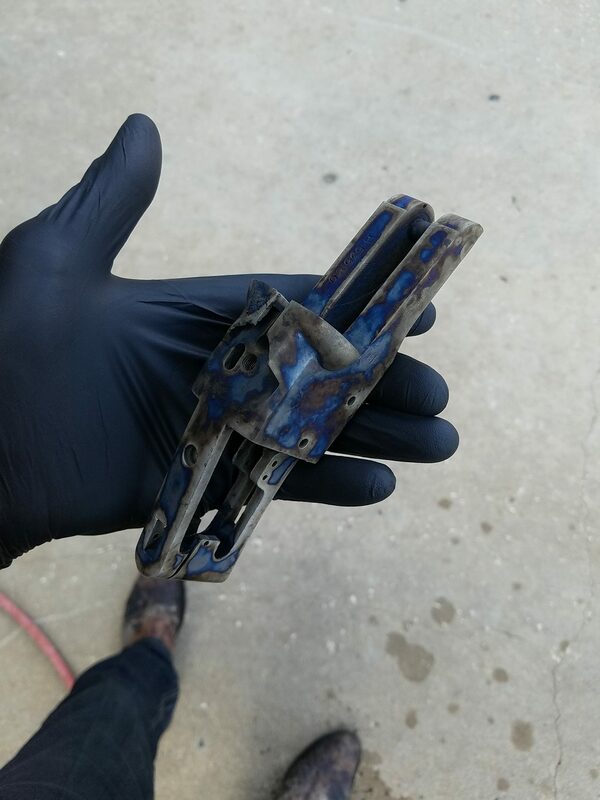 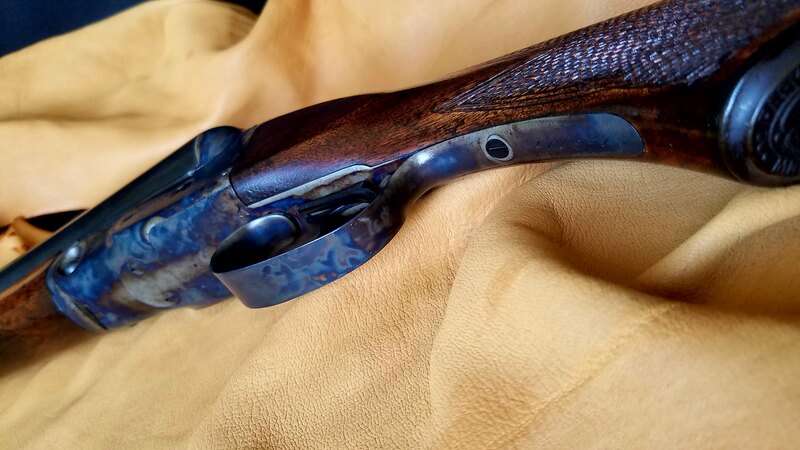 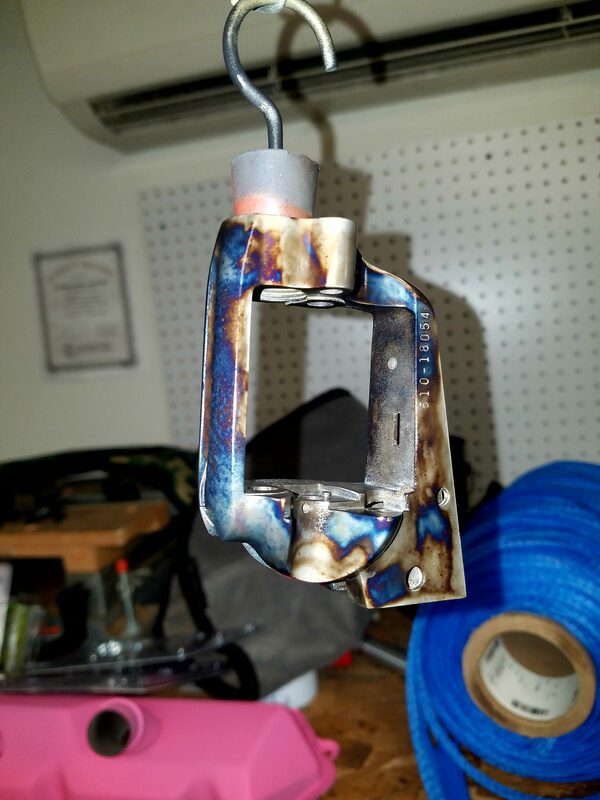 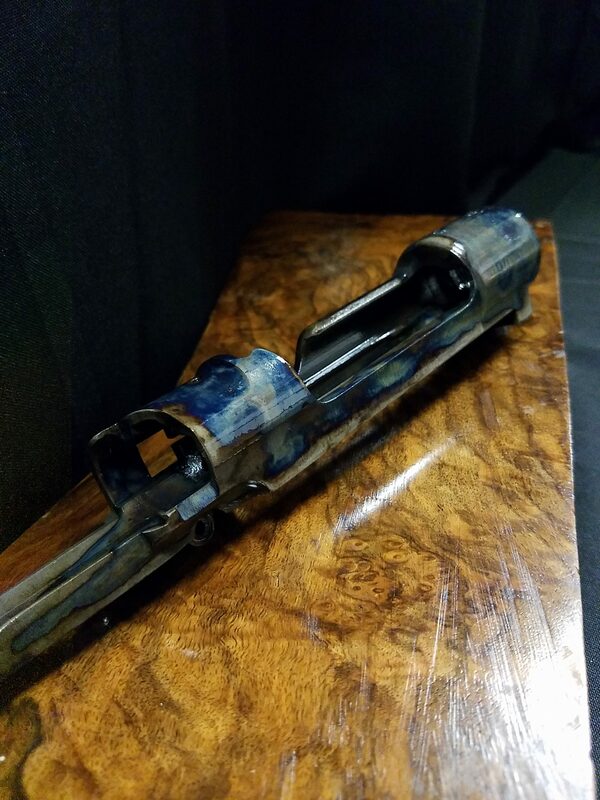 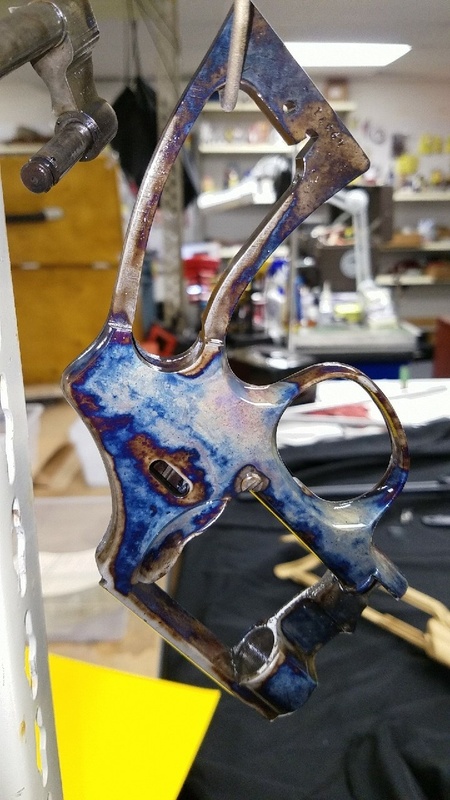 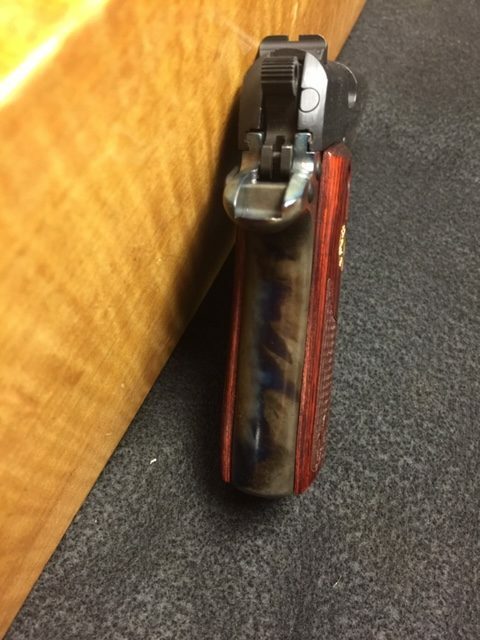 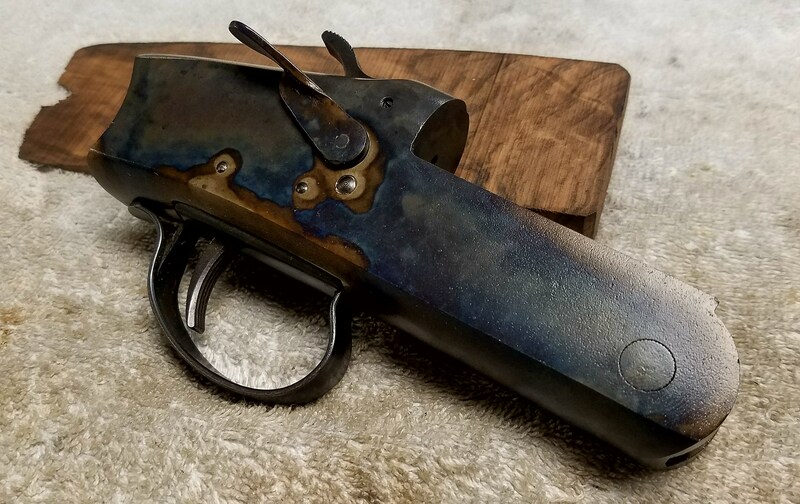 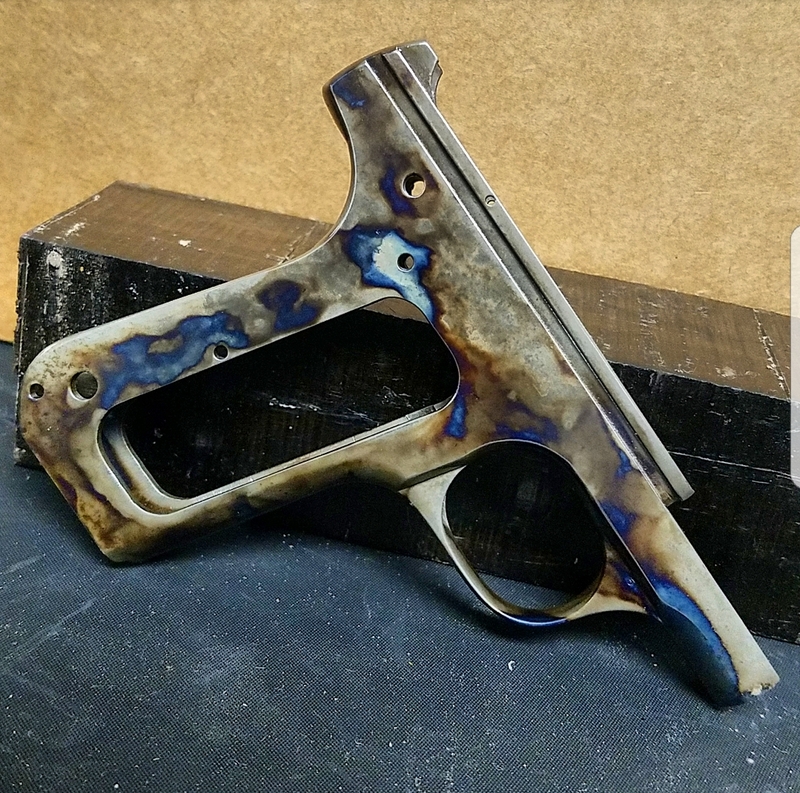 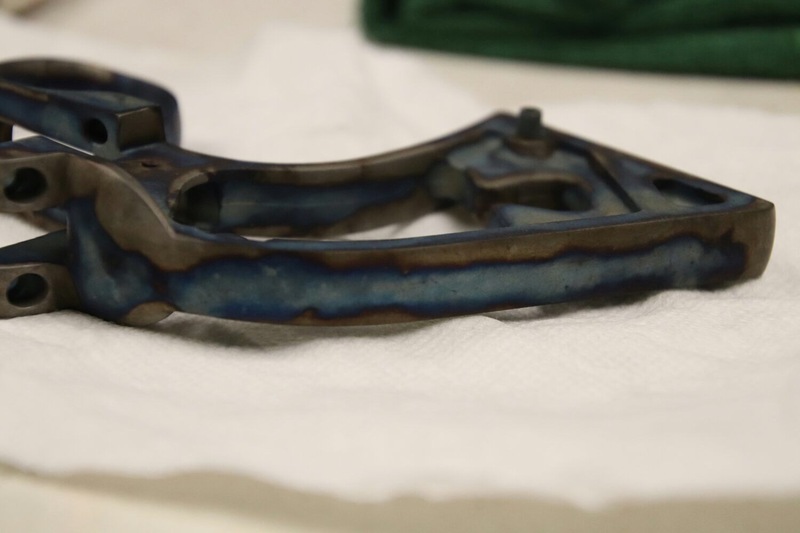 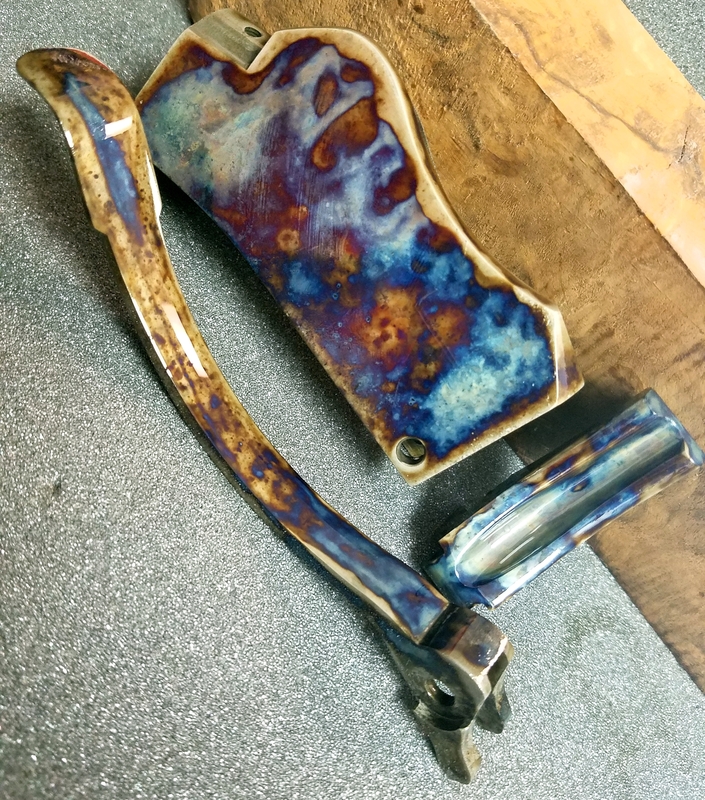 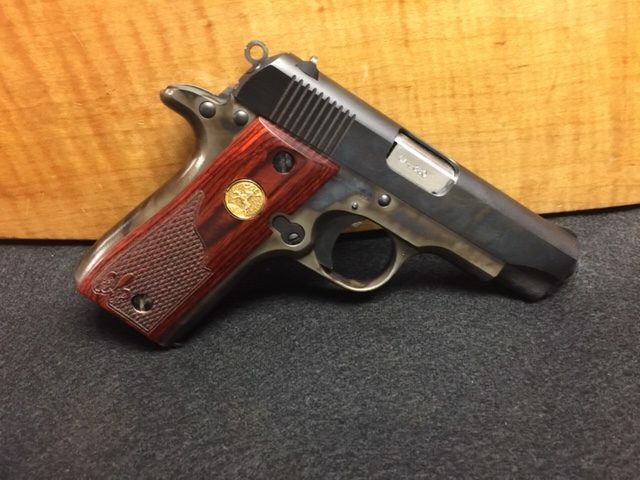 Here at Lohman Gunsmith we are able to bring those faded colors back by redoing the color case hardening. 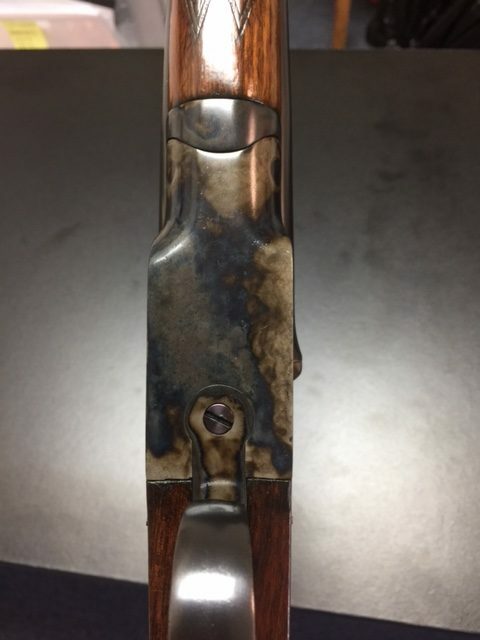 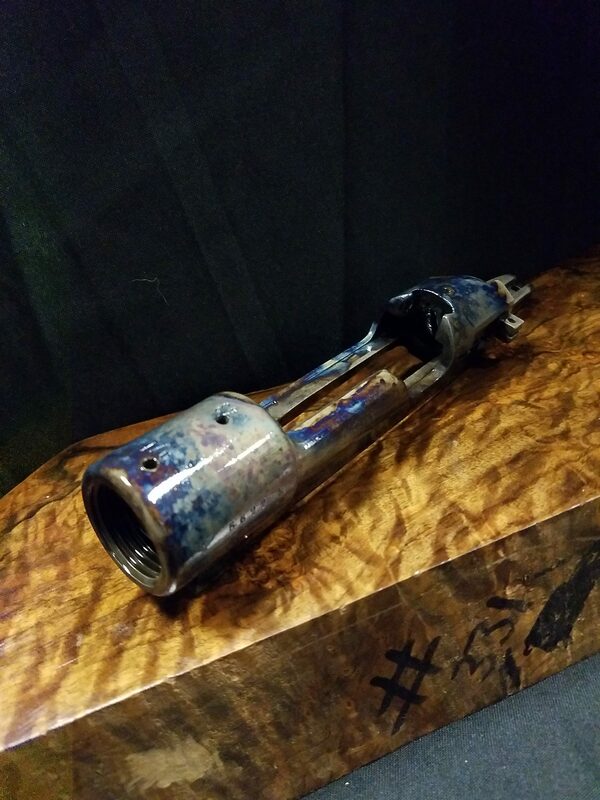 At Lohman Gunsmith we use our special formula depending on the type of metal we use a combination that includes bone and or charcoal plus a few other things. 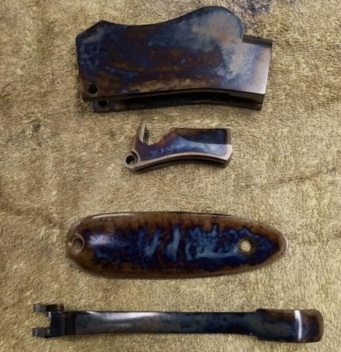 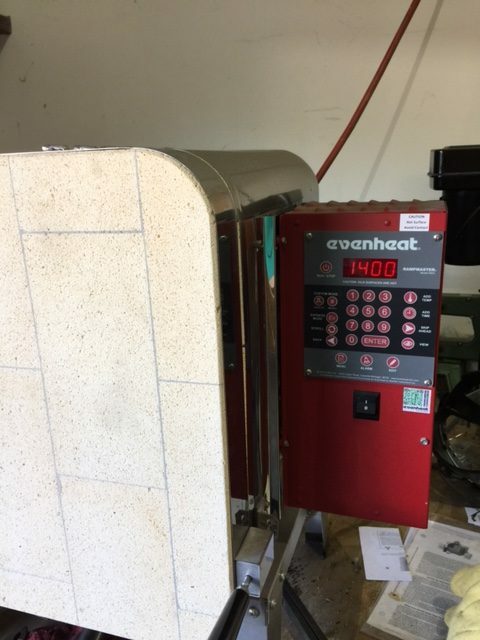 Color Case hardening is getting very popular. 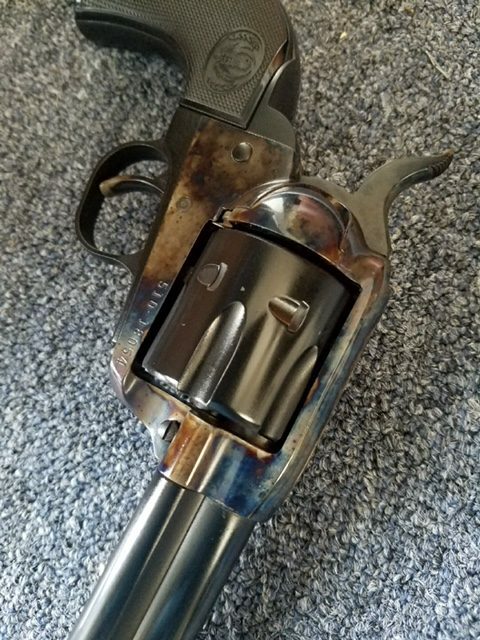 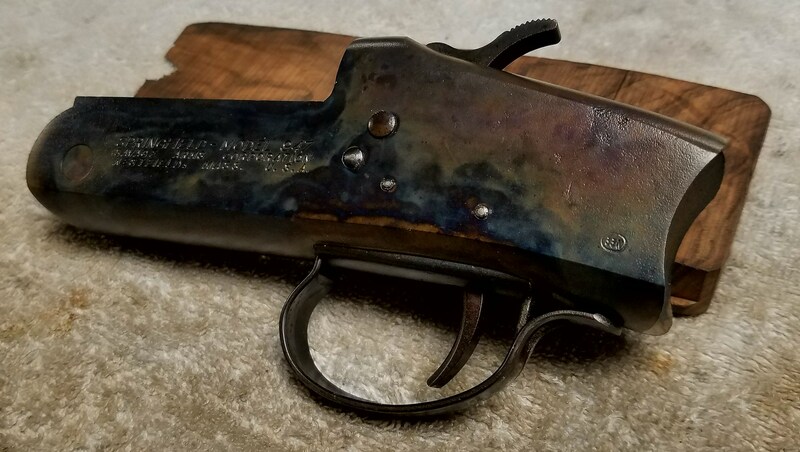 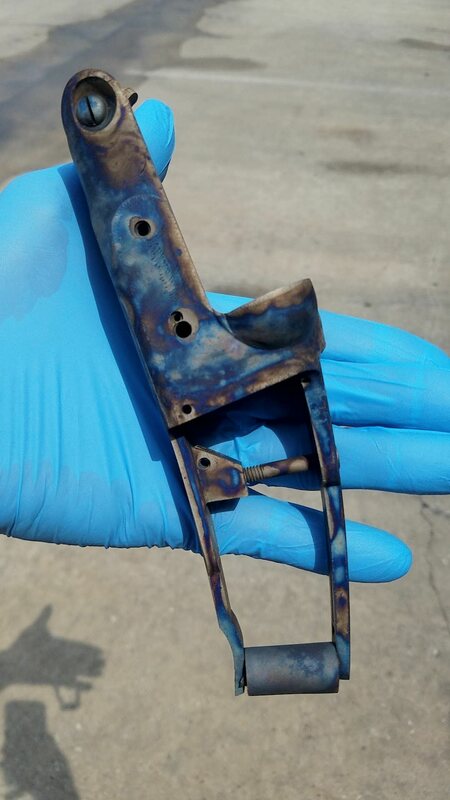 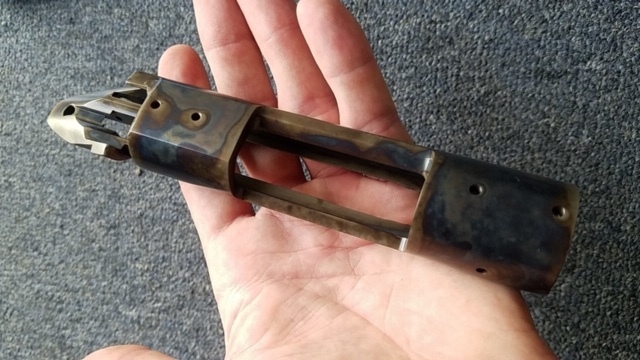 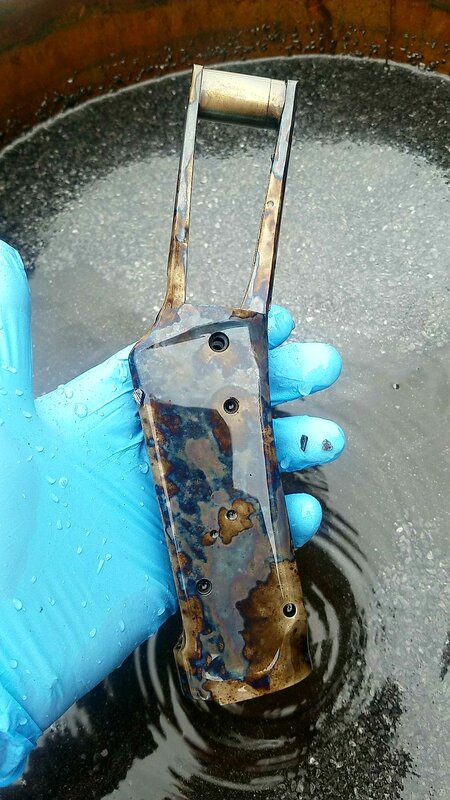 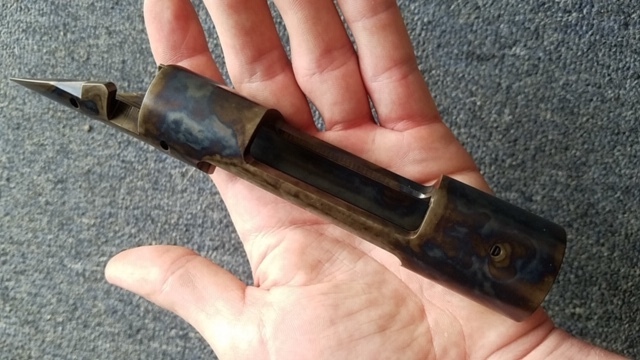 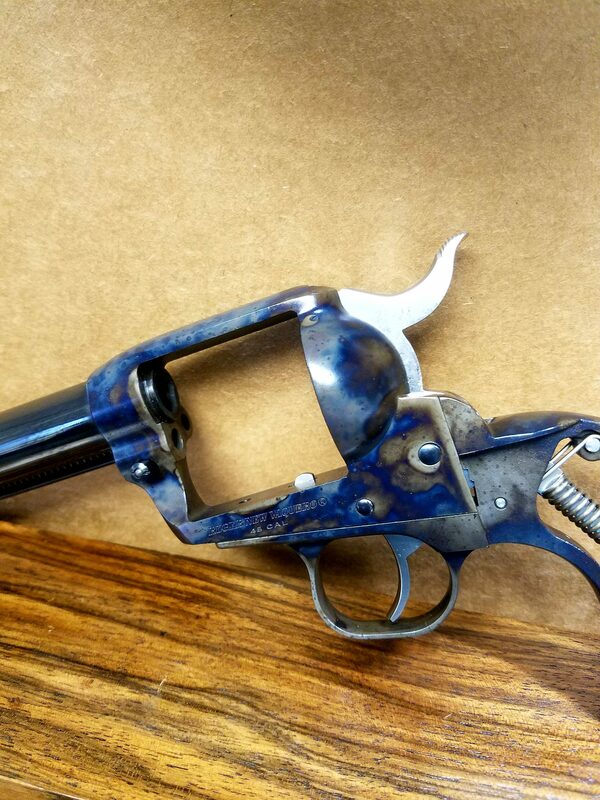 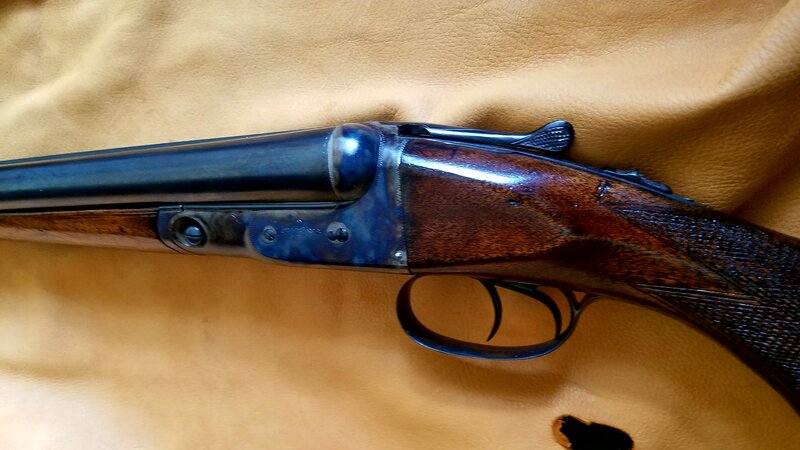 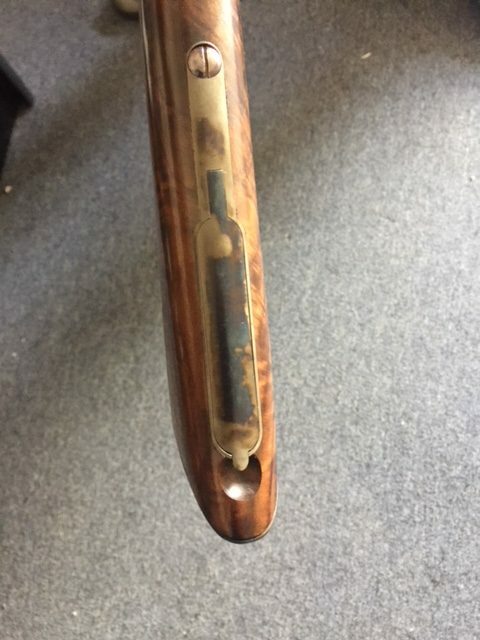 Many old guns have faded color case hardening. 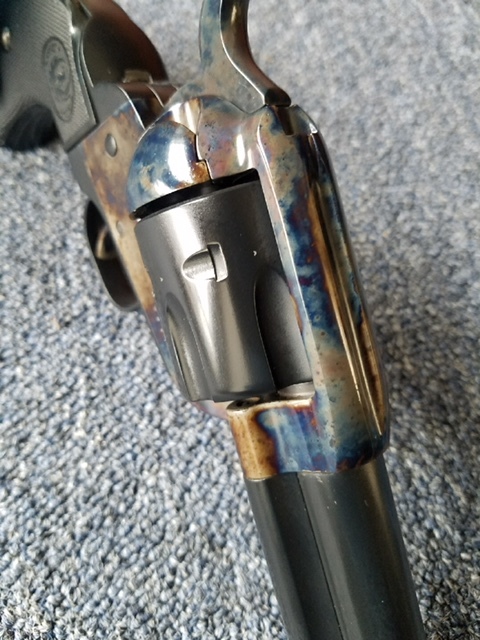 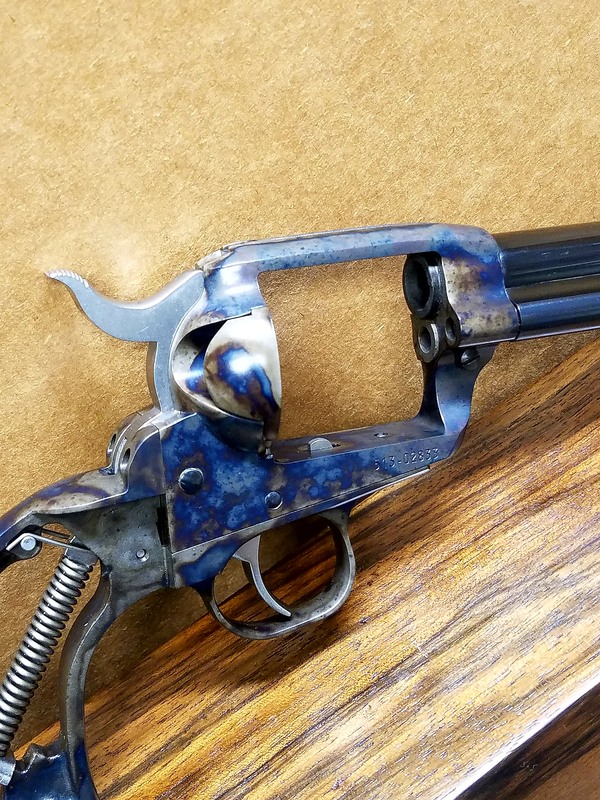 Single action revolvers, and shot guns are very popular to color case harden. 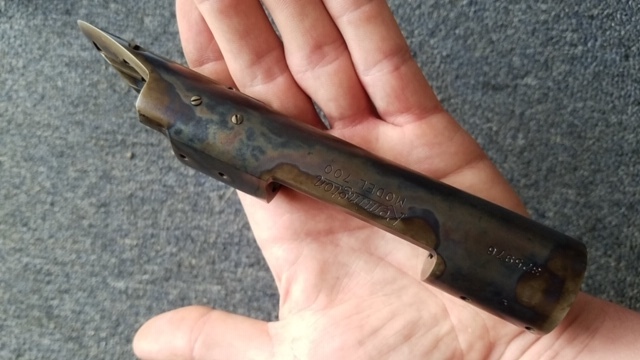 Some of the classic shotgun with case harden were. 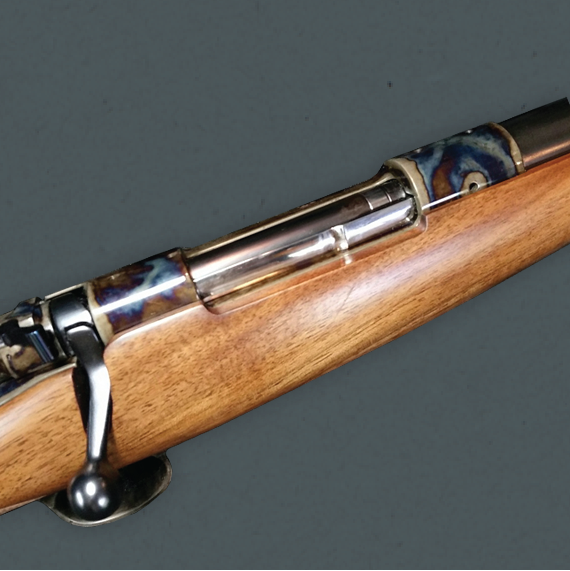 James Purdey & Sons Shotguns, Parker Shotguns, L.C. 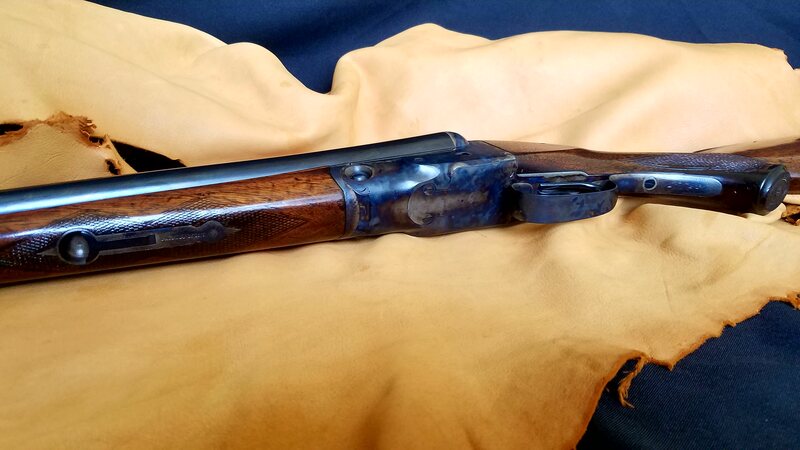 Smith shotguns, Winchester model 21 Shotguns, Farmers Shotguns, AH Fox Shotguns, Lefever Shotguns, Savage Shotguns. 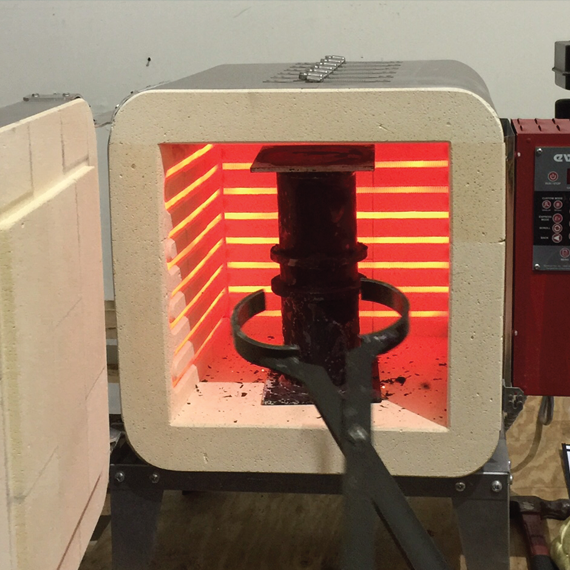 If we are doing a frame or receiver we will put it in a well-sealed container packed with bone or charcoal or a combination. 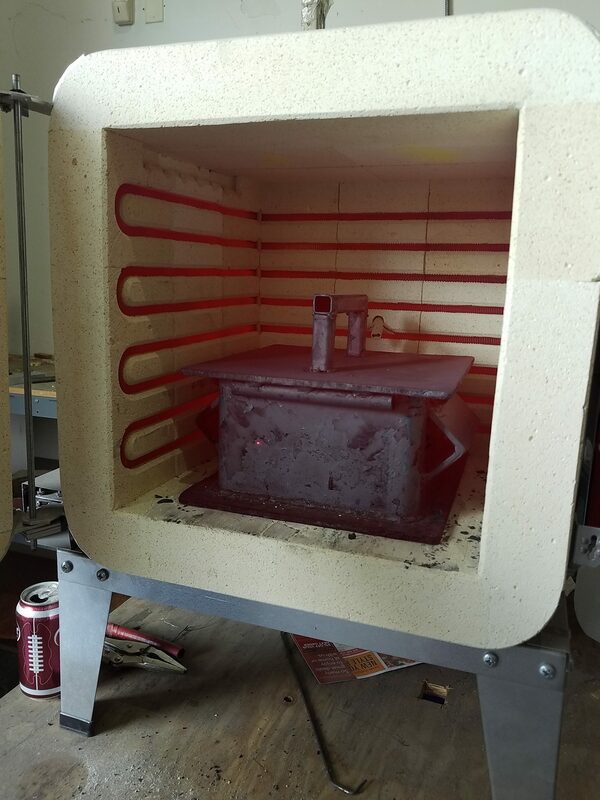 It then goes into our high heat oven that heats it up but we will stay under the melting point. 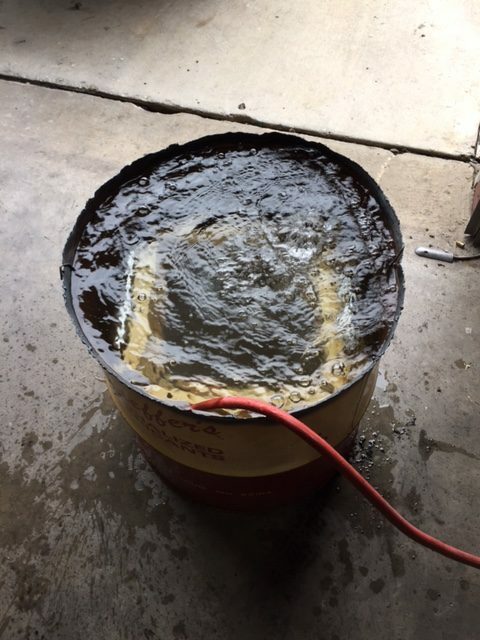 The longer you can hold at this high heat level the deeper the carbon will spread out into the surface. 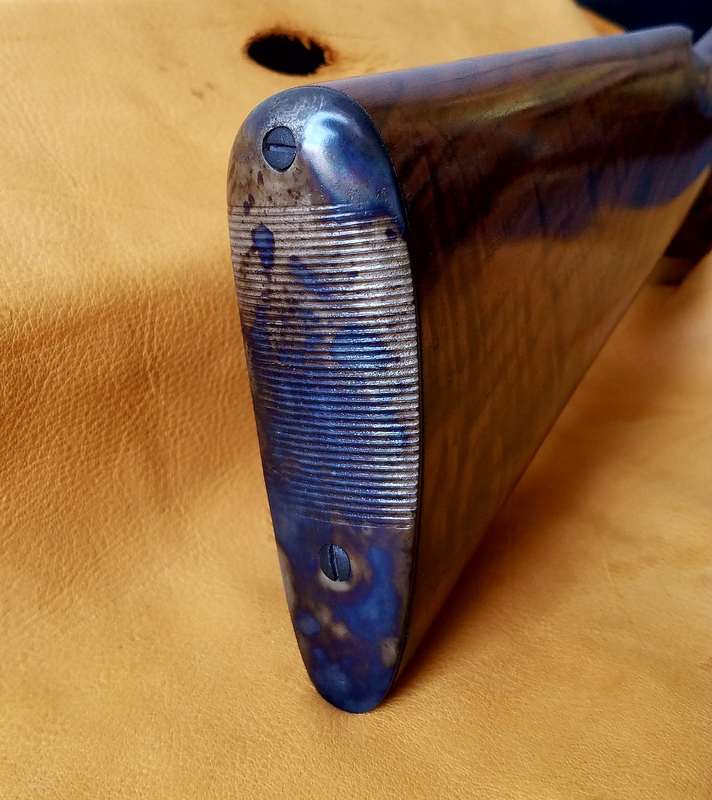 You will get patterns that have black, blue and purple. 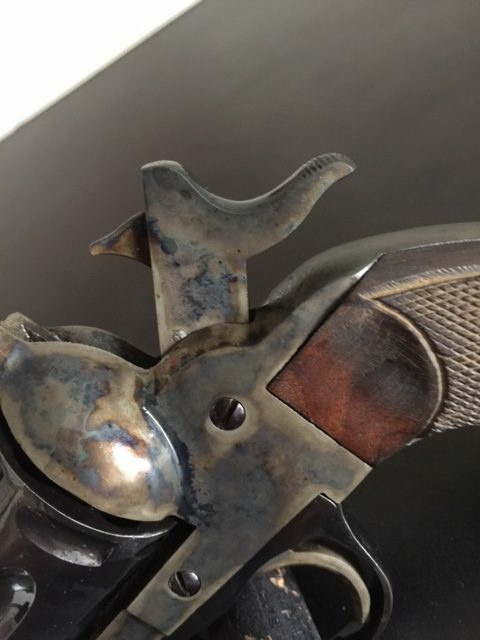 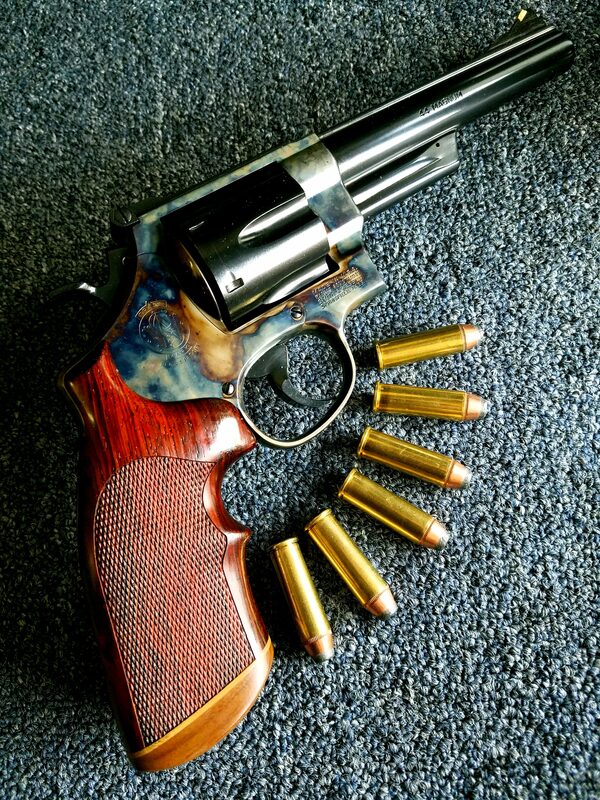 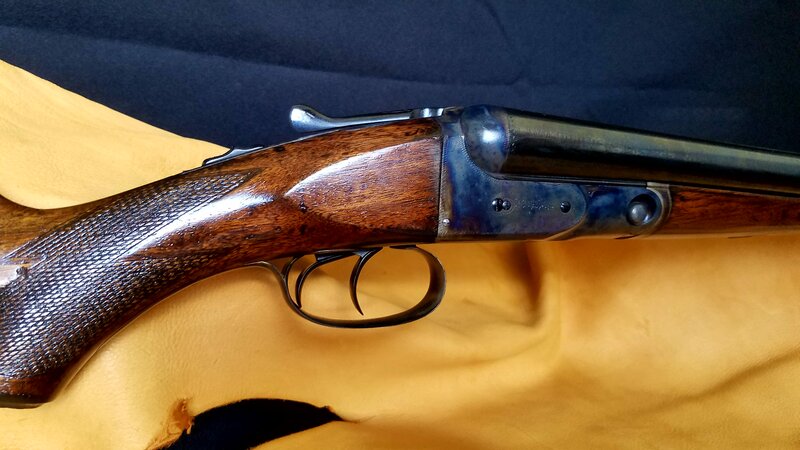 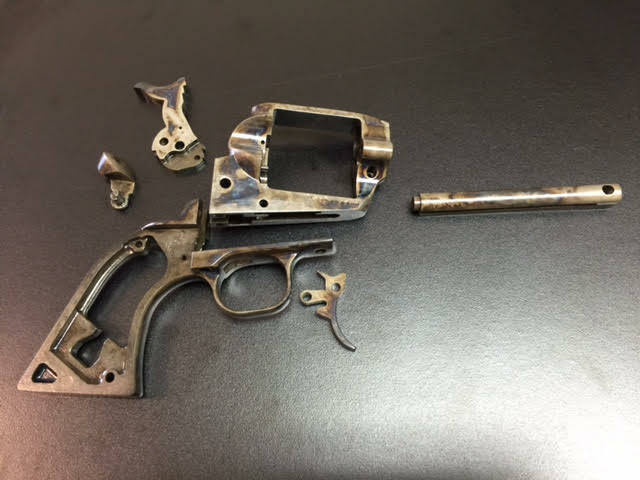 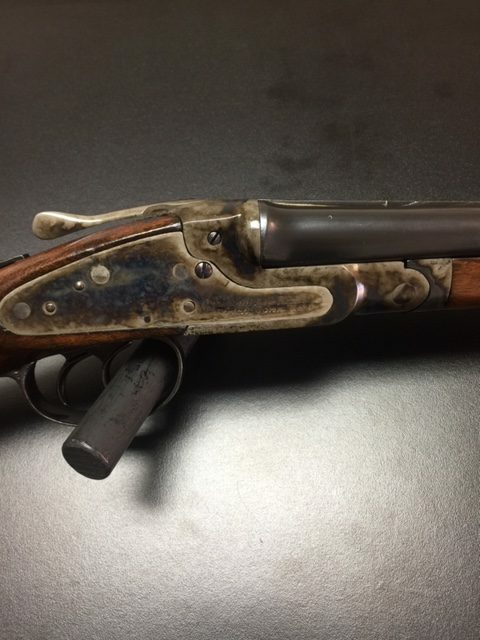 As you can see from our picture in the photo gallery we can take your actions, barrels, handguns, rifles, shotguns, single action revolvers and bring that back to how they looked when they were manufacture or even better. 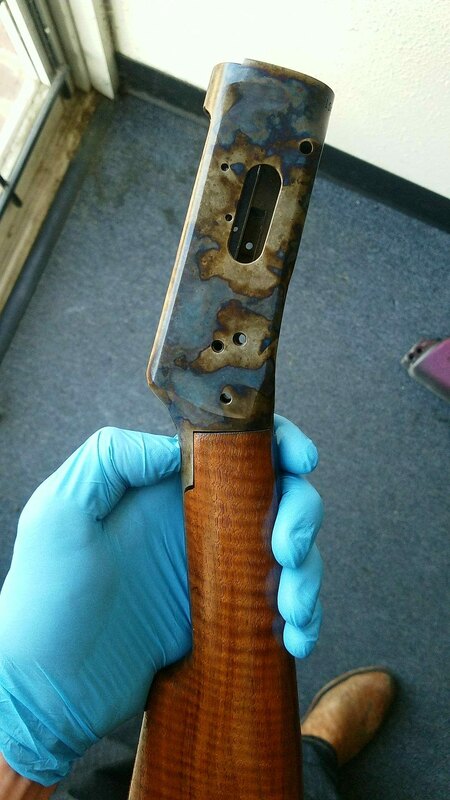 We apply a clear coat so the case harden colors do not wear off. 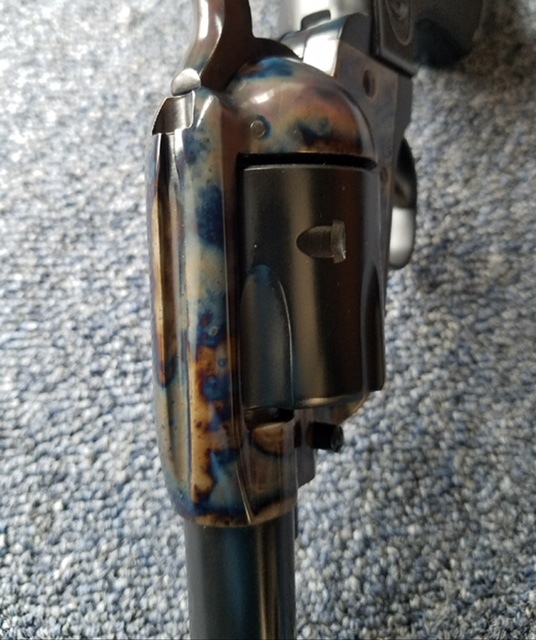 This type of decorative finish is done by very few companies. 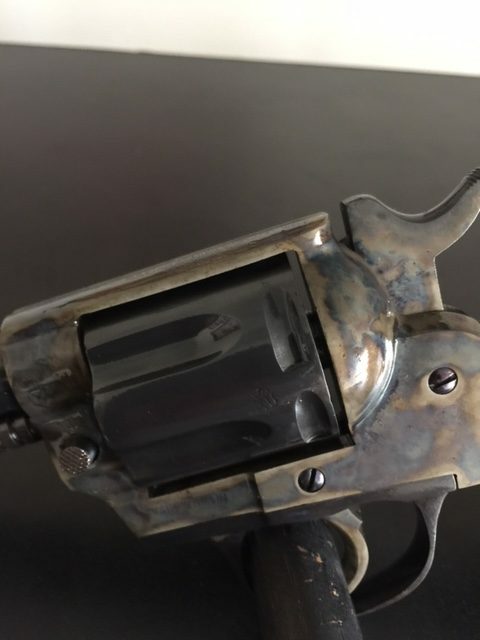 It is a lost or dying art. 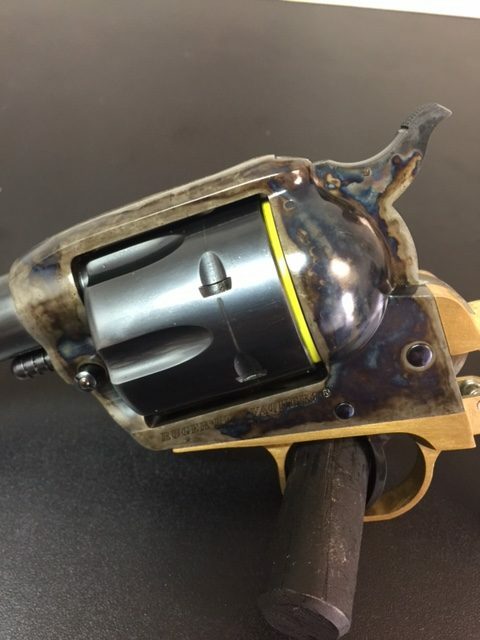 Here at Lohman Gunsmith we do things the old school way. 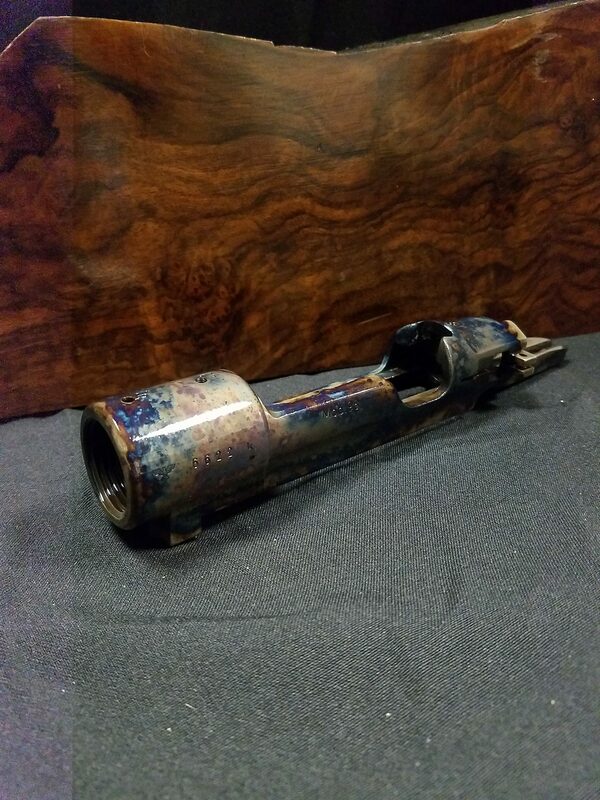 I have a old shotgun that is rusted. 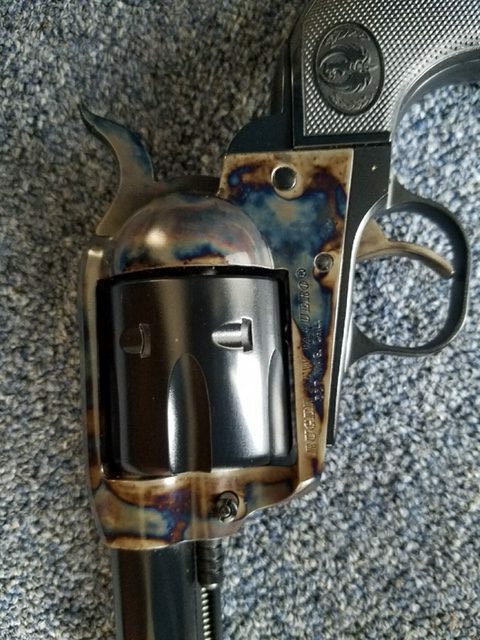 Can you color case it? 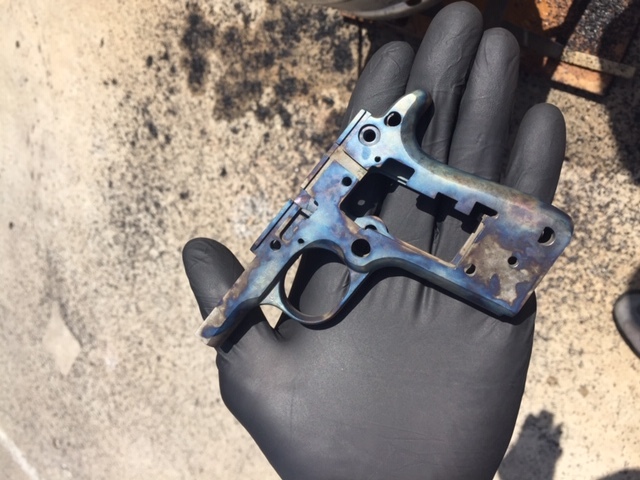 Yes, if it is surface rust or minor pitting we can take that off.